Sailing to Music. 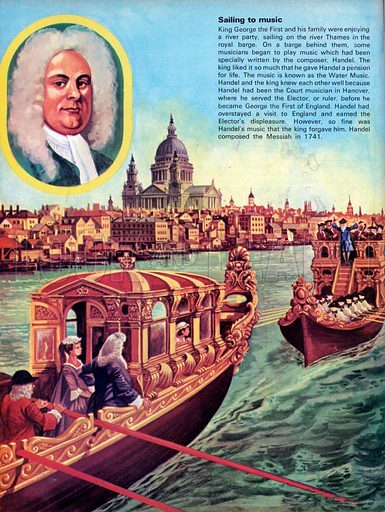 King George the First and his family enjoyed river parties on the Thames in the Royal Barge, followed by a barge filled with musicians. Available worldwide for immediate download up to 3,467 x 4,615 pixels.